How much time are you planning to spend? The visitor complex opens at 9 am every day of the year, though closing time varies with season. 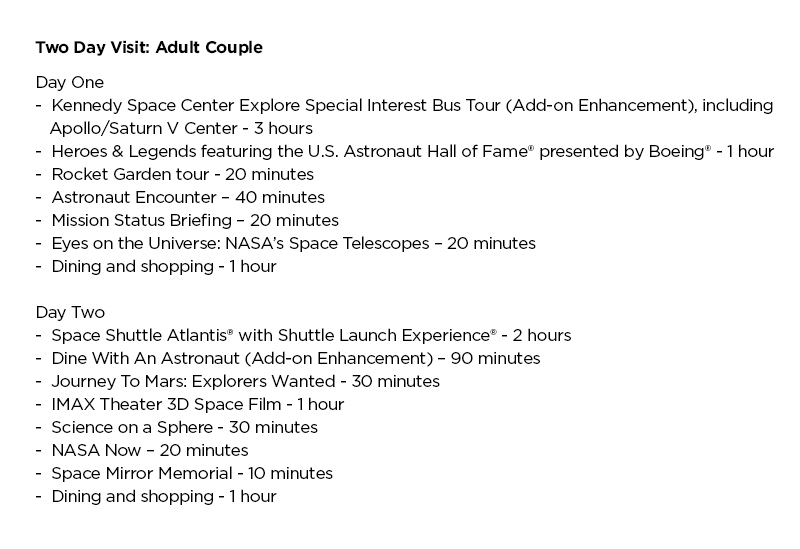 The Kennedy Space Center Bus Tour is included with daily admission and operates until 2.5 hours before close. 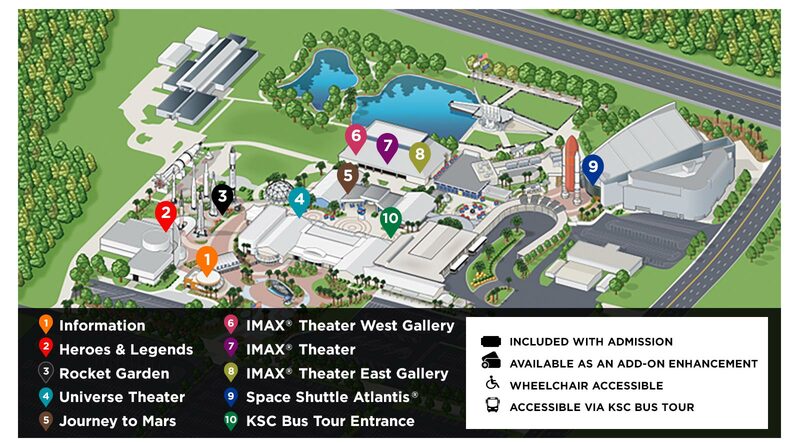 Kennedy Space Center is a working spaceflight facility and visitor complex attractions may be altered or closed due to operational requirements. 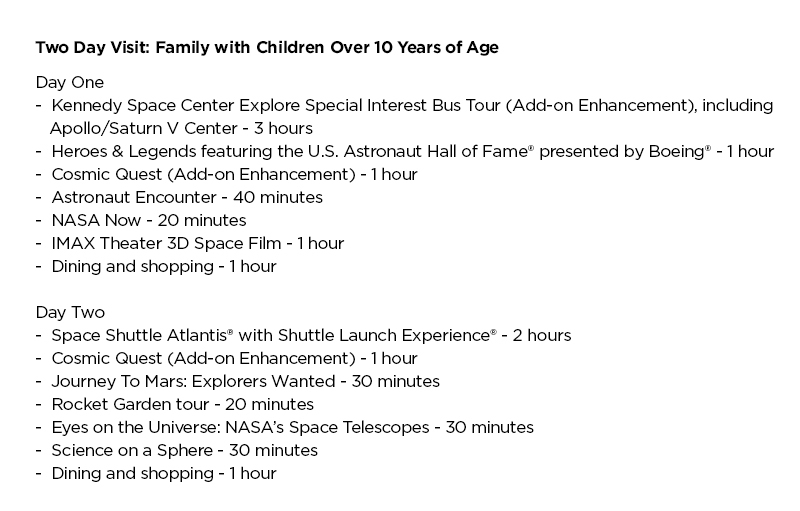 Add-on enhancements to your visit include Lunch With An Astronaut, Special Interest Tours, Cosmic Quest and Astronaut Training Experience (ATX)®. 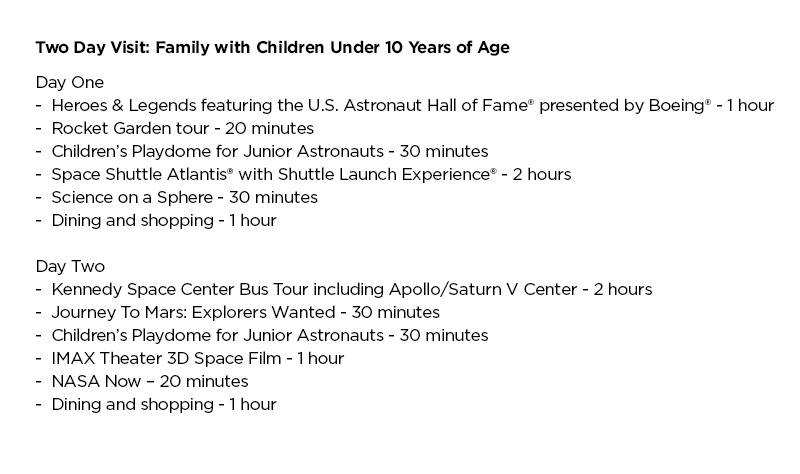 Though Lunch With An Astronaut and Cosmic Quest can be scheduled for a one day visit, we recommend a multi-day ticket or annual pass to experience more than one tour and ATX.